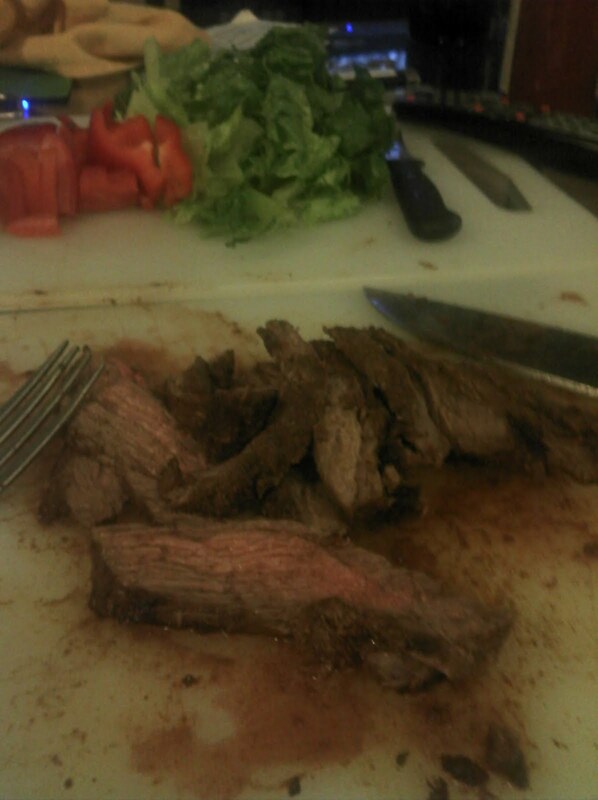 simple skirt stake marinade for tacos. caveat: I know nothing about electricity, wires or anything. This may be dangerous. Fires/electrocution/whathaveyou. 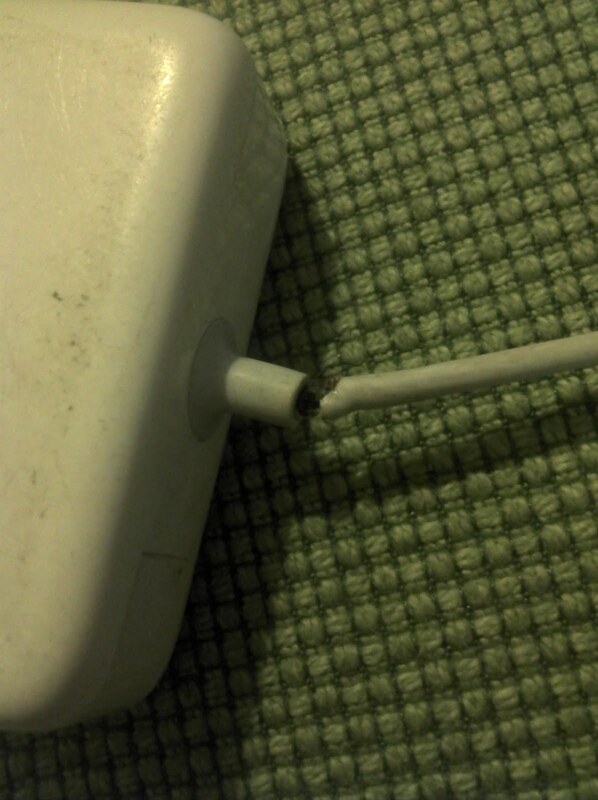 Here is the broken charger. 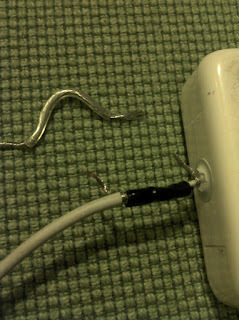 The cord consists of an copper inner wire with a plastic sheath and a silver wire that wraps around the middle cable. 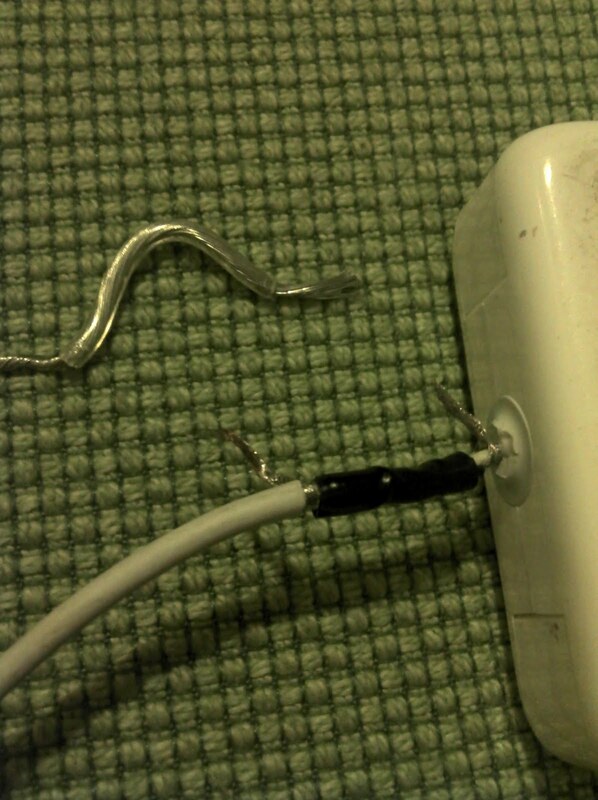 In this case the outer plastic is severed. the silver wire is discontinuous and the inner copper wire is exposed. 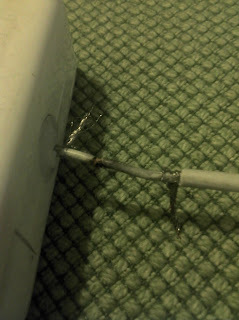 I cut off the outer plastic with a razor blade and then peeled the silver wire back. you can see the damage inner wire. I repaired the inner layer with electrical tape. 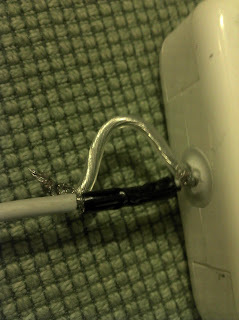 I also cut a portion of speaker cable to bridge the gap in the outer silver wire. I intertwined the speaker wire with the outer wire. finally taping up the remaining exposed wire.